The Lakefront Airport Bridge (West Approach) is a multifaceted bridge and roadway project. 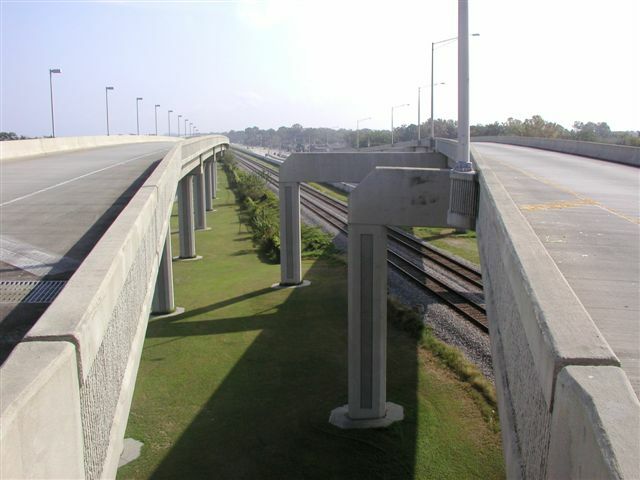 It has as its main feature a two-lane high-rise bridge structure across Downman Road, the Norfolk Southern Railroad main line twin tracks and the adjacent flood protection levee. After the bridge crosses Downman Road, it splits into two separate bridge structures. The north structure connects to Stars and Stripes Boulevard, and the south structure crosses the railroad and the floodwall and connects to Hayne Boulevard. This bridge greatly improves the flow of traffic in the area. The West Approach bridge includes a two lane section 600 feet long by 42’-10” wide and two single lane ramps, one of which is 1578 feet long by 27’-10” wide. 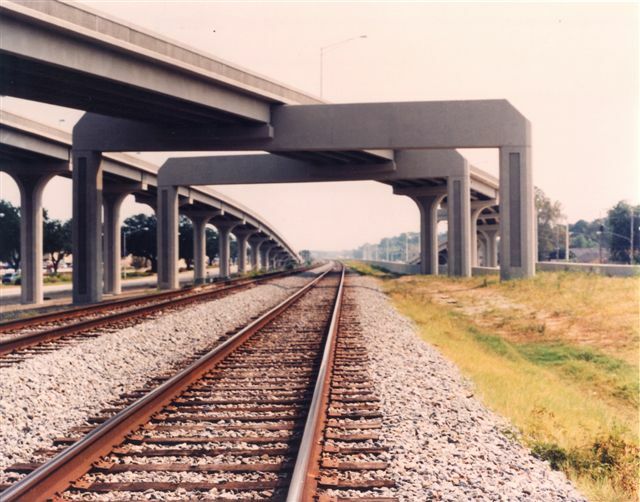 The project also involved steel girder spanning 80’ over two roadways, Norfolk Southern Railroad main line twin tracks and a major flood control. Like the East Approach, the West Approach used similar complex designs. design of 10,000 linear feet of prestressed concrete type III girders with LEAP program. complete construction management including construction administration (bi-weekly status meetings, correspondence, plan changes, change orders, instruction from owner to contractor, cost analysis and schedule maintenance, etc.) engineering during construction, utility coordination, review shop drawings and other contract submittals, document control, resident inspection, presentation to citizen groups, monthly status reports to owner, coordination with testing and inspection laboratories for quality assurance, daily reports, review and recommendation of pay requests and final closeout documentation.